People gather at the Beaver County Courthouse to raise awareness of several social and economic issues. Oct 28, 2014 – BEAVER — Everyone knows the First Amendment gives citizens the right to assemble. Few regularly exercise it. But that wasn’t the case Monday evening on the steps of the Beaver County Courthouse, when over 30 people gathered with signs and chants. Willie Sallis, president of the NAACP in Beaver County, said he helped to gather the protest to pressure elected officials to "just do the right thing." "What is the moral thing to do? … That’s what we’re trying to keep alive with the union and the civil rights leaders," he said. Sallis paired with several other organizations — including members of local labor unions — for the rally, with the hope of raising awareness of several social and economic issues. Inspired by a recent lecture given locally by the Rev. William Barber, president of the North Carolina State Conference of the NAACP, Sallis dubbed the rally Moral Monday. "What’s the right thing to do for the poor?" Sallis said. "What’s the right thing to do for health benefits? What’s the right thing to do when it comes to jobs? What’s the right thing to do when it comes to minimum wages? All we’re saying is, ‘Look, do the right thing.’"
On the courthouse lawn, participants chanted, "Keep it fair; we care." Tom Wolf, right, shakes hands with Beaver County commissioner Joe Spanik before an election rally on Sunday, October 26, 2014, at the Aliquippa Elks Lodge on Brodhead Road in Aliquippa. Oct 26, 2014 HOPEWELL TWP. — Democratic gubernatorial candidate Tom Wolf visited Beaver County again on Sunday, calling the election a chance for voters to say what they are not and what they could be. The York County businessman echoed a recent campaign statement that Pennsylvania’s job creation was the worst in the country since 2011, based on federal data, suggesting the state could capitalize on its port access as one economic possibility. He also repeatedly stated that residents shouldn’t take polls too seriously. Speaking to 60-plus people at Aliquippa Elks Lodge 1221 on Sunday, he said the upcoming election is a chance to move Pennsylvania and the country in the right direction. “It hasn’t worked,” he said. Wolf has visited Aliquippa or Hopewell Township several times in the last few months, and Aliquippa Mayor Dwan Walker said Wolf’s third visit on Sunday meant he was now family. He visited Aliquippa Elementary School on Aug. 25 and the Aliquippa Junior-Senior High School on Oct. 13. Oct 27: ‘Moral Monday’ Rally at the Courthouse Monday Evening! Monday, October 27th, is a big day for Beaver County. It’s the day we’ll have our first Moral Monday rally at the Beaver County Court House. At 6:00 PM we’ll all gather on the steps of the Court House in Beaver to announce our intentions. We intend to follow our moral compass & use our energy to address the issues facing Beaver County & Pennsylvania. Public education is under attack. It’s harder than ever to make a living because unions are under attack too. There aren’t enough jobs. Our very water is being threatened because of cuts to the agencies that are supposed to protect it. Inequality is at an all time high, with our brothers & sisters in the African American community suffering the worst. We intend to gather people together & address these issues & other issues that hurt our beloved community. Please please join us. It’s the beginning of coming together. It’s the beginning of reaching out. It’s the beginning of standing & listening to each other & finding the way forward. 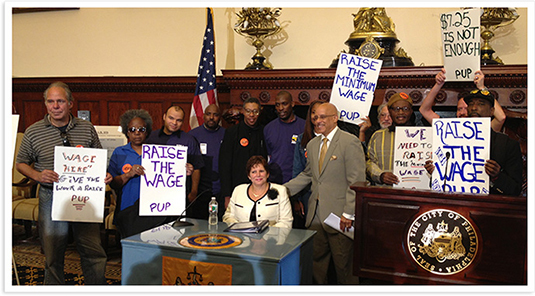 HARRISBURG, Oct. 15, 2014 – State Sen. Christine M. Tartaglione today helped to quash a backdoor attempt to weaken unions by joining a bipartisan push to defeat an amendment that would have prohibited employers from automatically deducting membership dues from a worker’s paycheck. Called “paycheck protection” by proponents, Tartaglione said the proposal, introduced by Sen. Scott Wagner (R-York) as an amendment to a bill designed to help children with food allergies, was not democratic. “The only thing Sen. Wagner’s amendment would do is eliminate unions’ abilities to choose who they want to represent them in government,” Tartaglione said. “It would eliminate the voices of the men and women who work hard day-in and day-out to put food on the table for their families, just because they belong to a union. “Union members can already decide whether or not they want to contribute to union political spending. The law protects them if they choose not to contribute. And, she said, for every hour worked by a teacher, the money they earn for that work is no longer the state’s money; it is the employee’s. “So, I ask you: why do we call this measure ‘paycheck protection?’” she said on the Senate floor. Oct. 17, 2014 – It had all the trappings of an ALEC-backed attack on democracy: Push out a bill prohibiting local governments from passing workplace protections in their own communities. If all else failed, tack the measure onto some popular bill as an amendment and hope the supporters of that bill would want it badly enough to allow the hostile amendment to stand. Most of our credit unions are members of CUNA – the Credit Union National Association. CUNA’s political action committee has donated $20,000 to right wing Republican Senator Mitch McConnell. They plan to spend another $300,000 in radio and TV adds for McConnell in hopes that he will become Senate Majority leader. 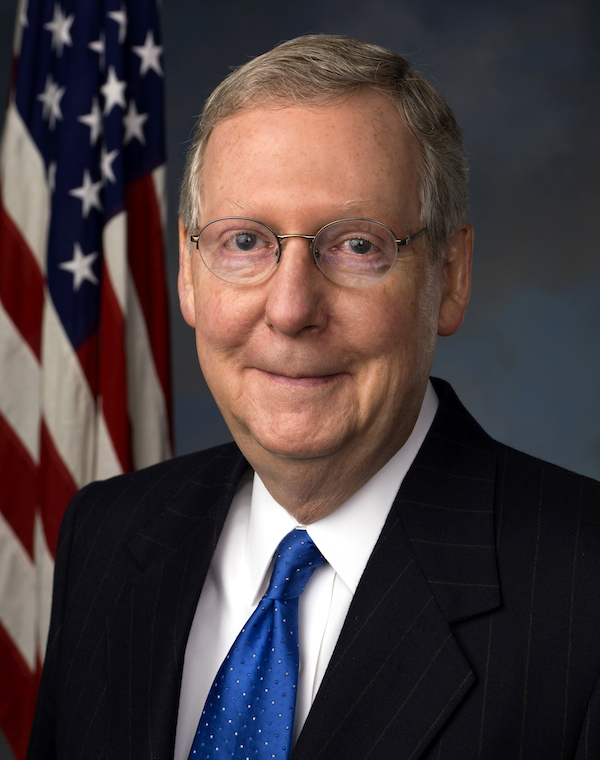 McConnell is in a tight race against Democrat Alison Grimes in Kentucky. Please sign and circulate this petition. Contact your credit union officers and ask them to pass a resolution against this expenditure of our money. CUNA told CU Times on Thursday that its political action committee, CULAC, filed notice with the FEC of a $300,000 independent expenditure on behalf of Sen. Mitch McConnell (R-Ky.) in his re-election campaign. McConnell is locked in a tight race against Kentucky Secretary of State Alison Lundergan Grimes (D-Ky.). If the current minority leader wins his midterm bid, and Republicans win a majority of Senate seats, McConnell would presumably become majority leader, setting the Senate’s agenda. CULAC, CUNA’s PAC, has already donated $10,000 to McConnell’s campaign as well as $10,000 to his leadership PAC, according to Trey Hawkins, CUNA vice president of political affairs. NAFCU’s PAC contributed $7,500 to McConnell, according to NAFCU Vice President of Political Affairs Katie Marisic. CUNA plans to spend approximately $274,000 on television advertisements for McConnell and $25,000 in radio ads. A CUNA spokesperson told CU Times they have not planned independent expenditures for additional candidates at this time.